Cute, colourful, and bursting with joy–if you’re looking for art featuring adorable animals, you’ve come to the right place. I love drawing furry characters of all ages, but I’m especially known for my “littles”. Ever since I was quite small I’ve loved to draw animal people (also known as “anthropomorphics” or “furries”). Now, with thousands of my badge-sized animal drawings out in the world, I’m known as the Badge Queen at furry conventions. Take a peek through my print gallery, browse my store, and sign up for my newsletter below to be among the first to find out what I’m up to. If you’d like to have me draw your character, you can find out how to commission me here. I’m available for reference pictures, name badges, and larger commissions. I specialize in Prismacolor markers, but I’m also comfortable with digital art, including digital Telegram stickers. I’m also available to work on your commercial project–logo, mascot, or product. Email me and we can discuss the details. 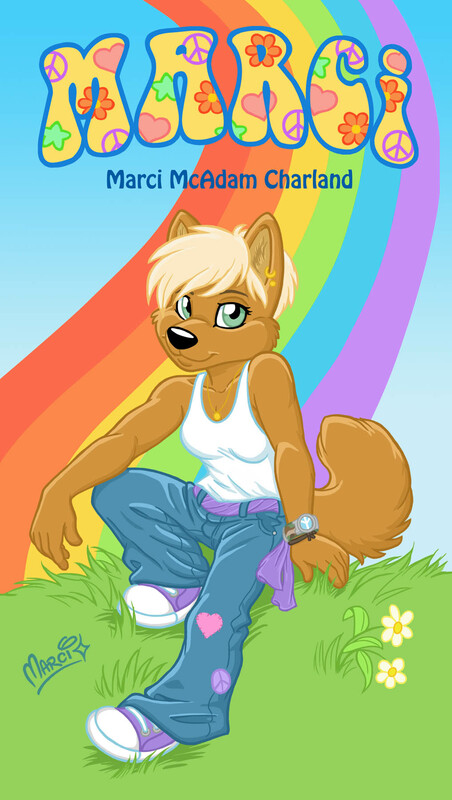 Check out my illustration portfolios on my Art of Marci website for more samples.